Tree looks amazing and very easy to assemble. 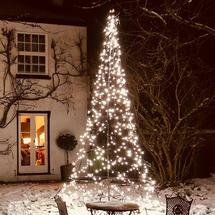 Brilliant tree! Exactly as stated! 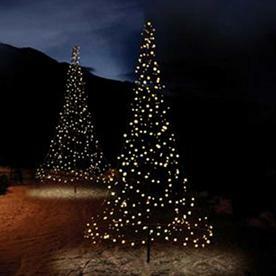 Fairybell 3D outdoor trees are some of the prettiest, and the best made, illuminated Christmas trees we have seen. 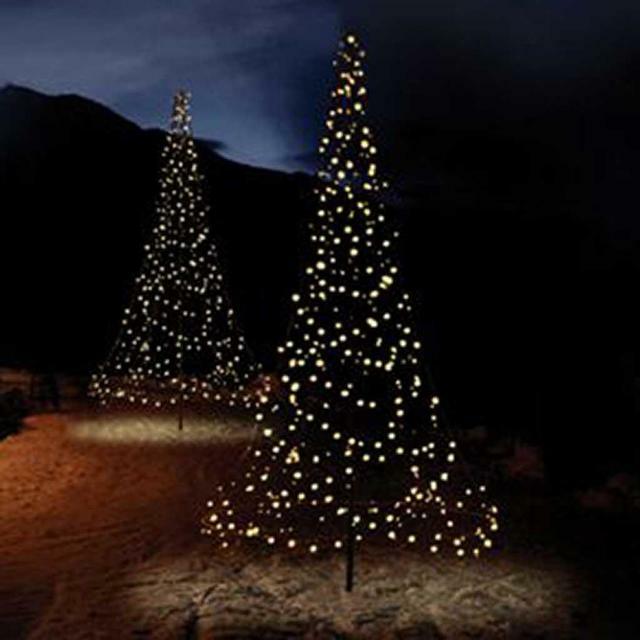 Choose from either static lights or twinkling lights. 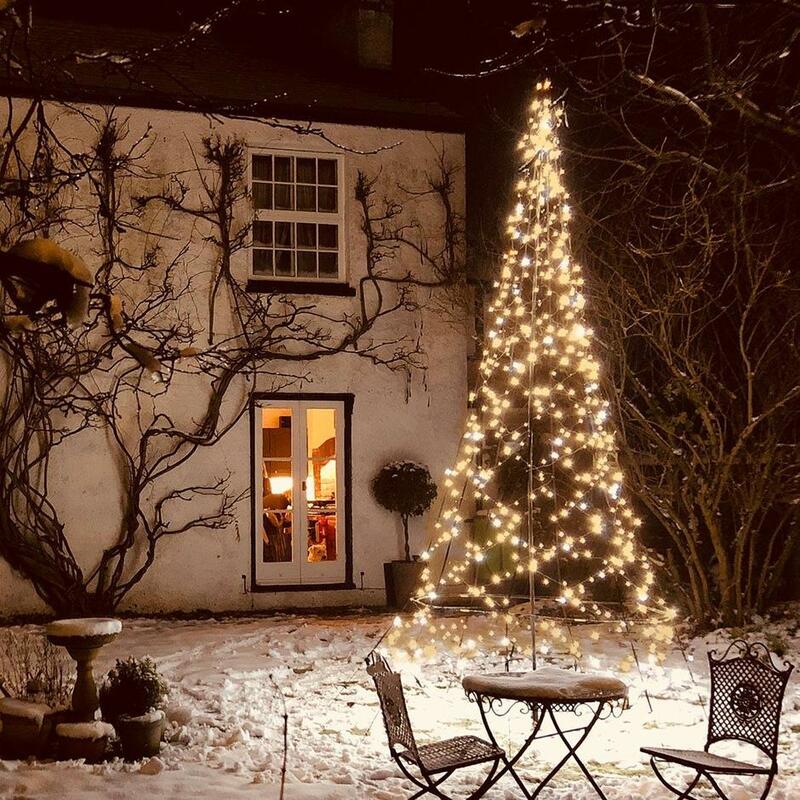 The gentle twinkling lights are like stars in the sky. 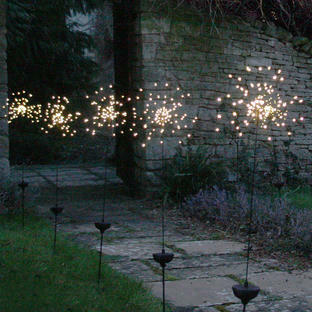 In a sparkly ice white, they are easy to assemble and look gorgeous in gardens small and large. 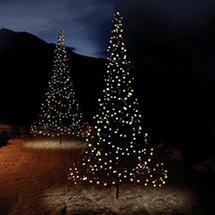 The tree with static lights is available in warm white only. The plug needs to be plugged into inside mains, or into an outdoor plug with weatherproof housing. They take about 10-20 minutes to assemble (see video at the bottom of the page). 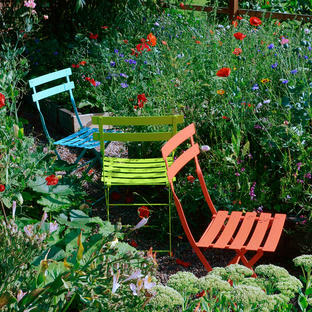 Choose from three sizes, depending on your outdoor space. 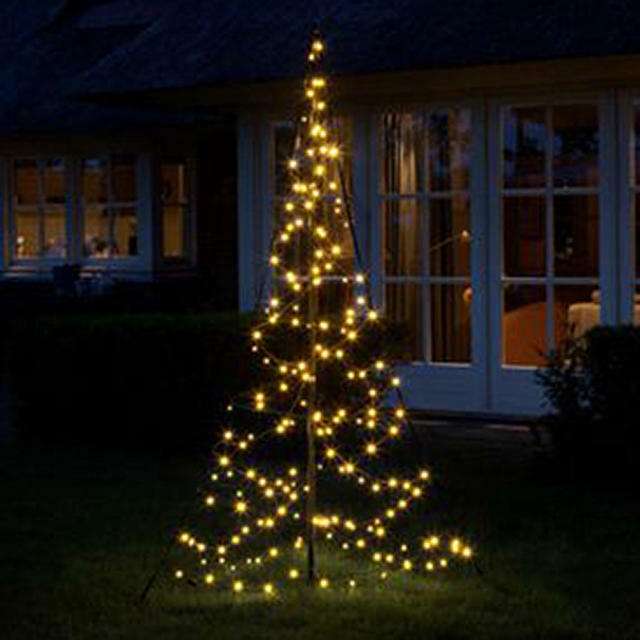 The Fairybell trees are suitable for outdoor use, and with a metal ground pin, the tree will stand upright on grass, in sand or between paving tiles. 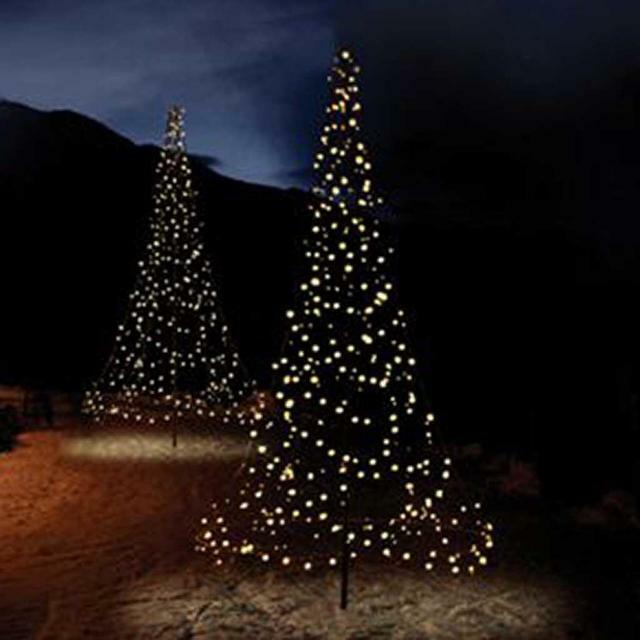 Beware inferior outdoor trees with significantly fewer lights. 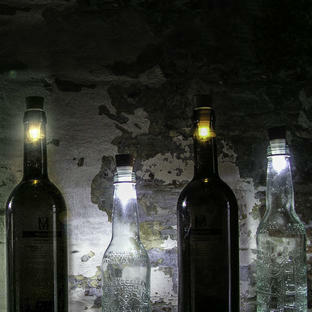 Please note we are now out of stock of these items, contact us for availability on 0345 6052505. Installation The plug needs to be plugged into inside mains or into an outdoor plug using weatherproof housing. 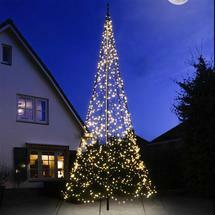 The 1.85m twinkling tree is 185cm tall with 250 ice-white lights. 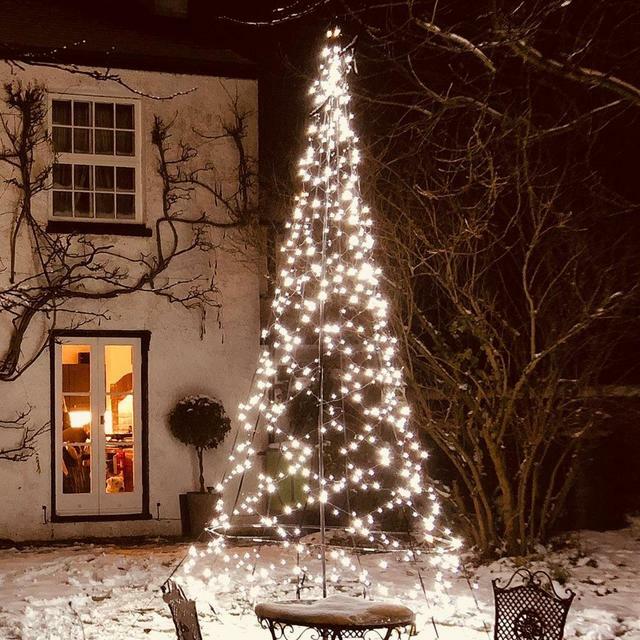 Please note that the fixings for this tree are different to the larger trees. Because the tree is smaller, it only requires 1 peg and its ground pole to secure it as a free standing tree, so it is suitable for smaller gardens. 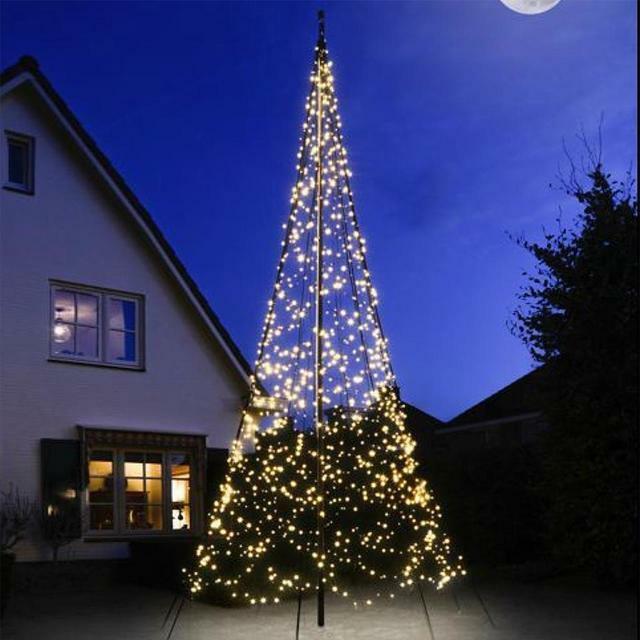 The 3m twinkling tree is 300cm tall with 360 LED lights. 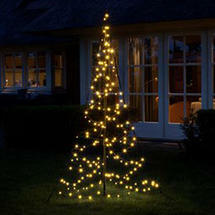 The tree is supplied with ground pegs to hold the base ring in place. 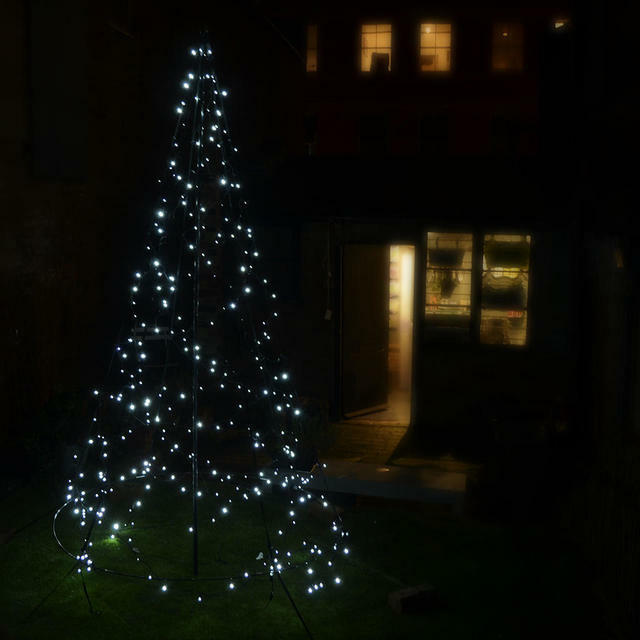 The 4m twinkling tree is 420cm tall with 640 LED ice white lights. The 3m tree is 300cm tall and has 360 static warm white LED lights. All the Fairybell trees have a 10 metre cable to the plug from the tree.